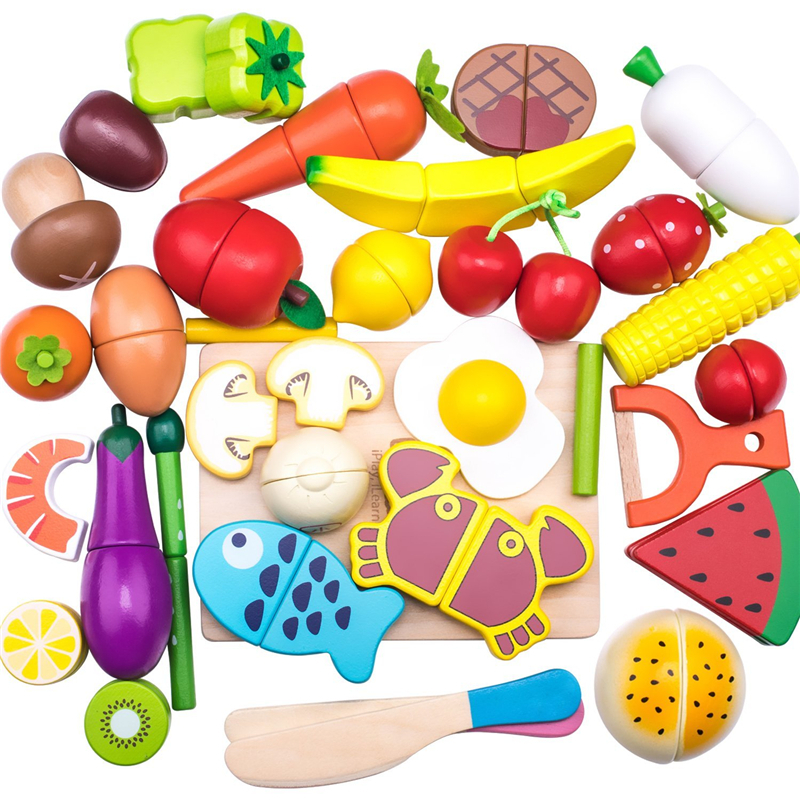 Hand-polished with natural high-quality wood that is smooth to touch, and safe for children\'s small hands. 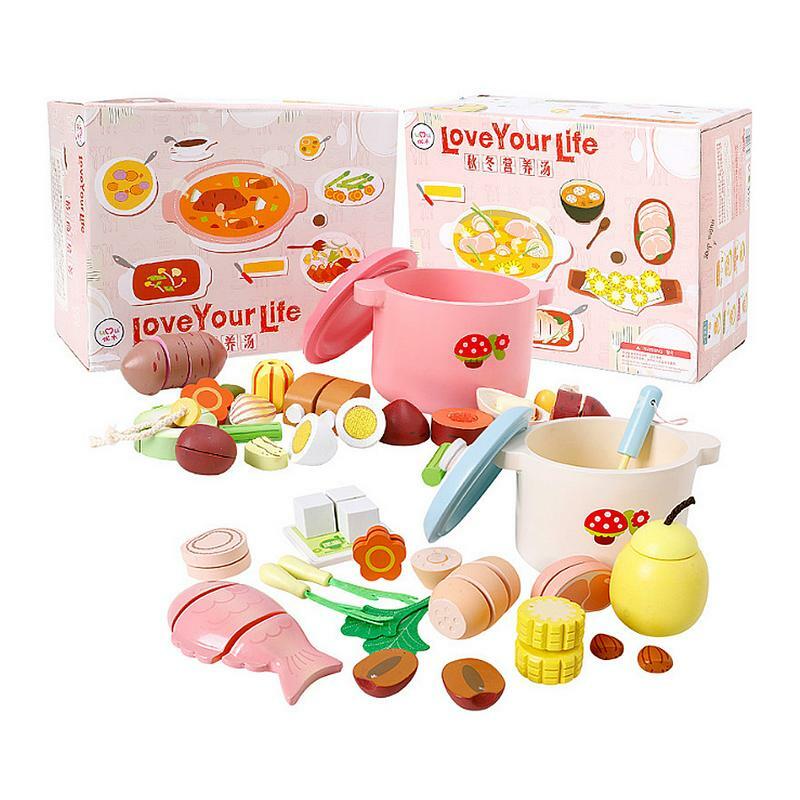 The bright, lifelike color finish is achieved with an environmentally safe coloring suitable for children\'s toys. 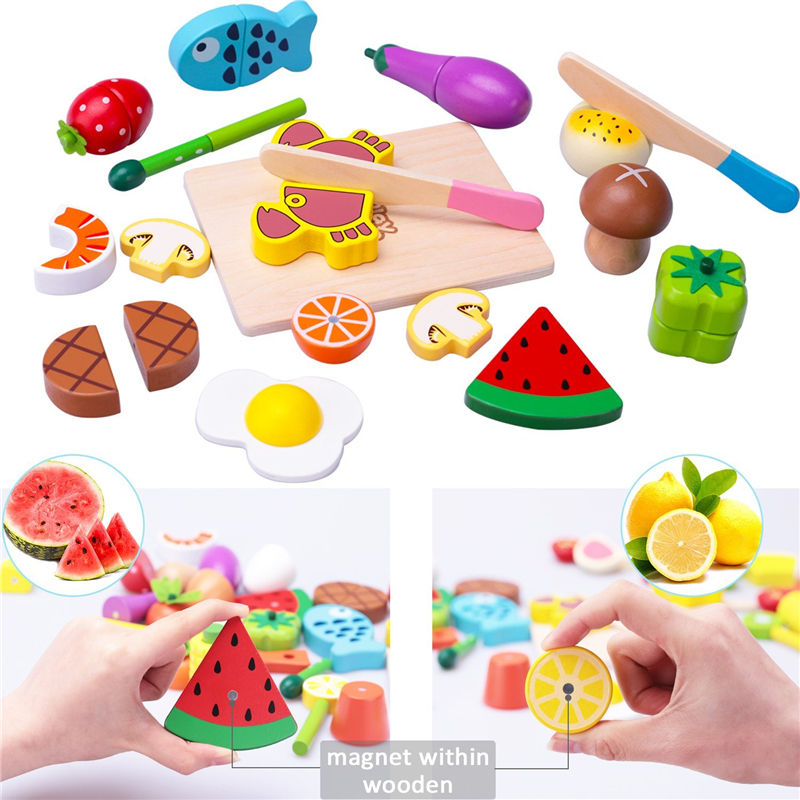 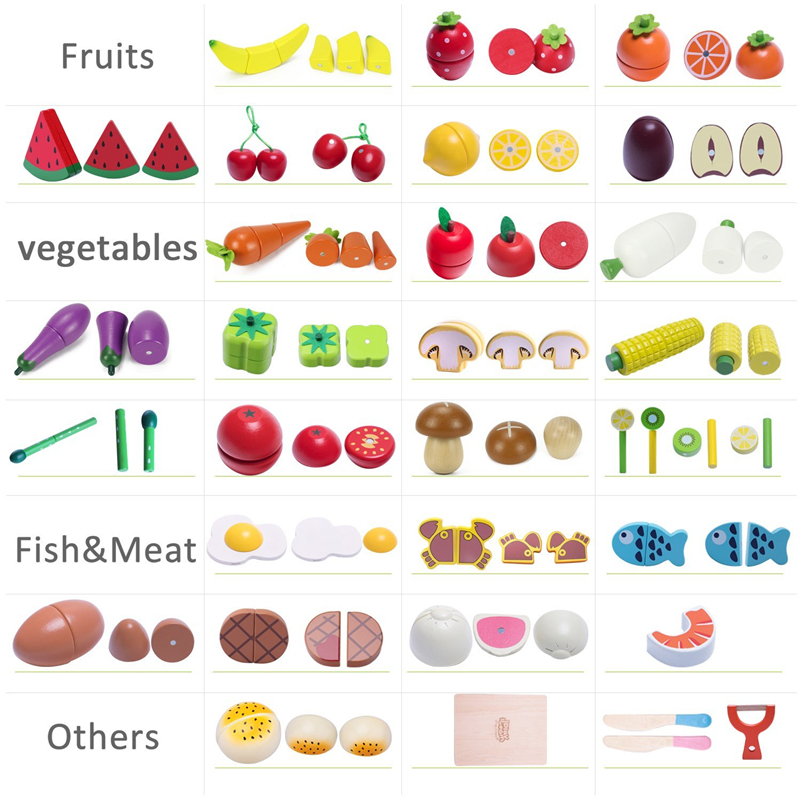 The realistic shapes will help babies learn identification of colors, and identification of many fruits and vegetables. 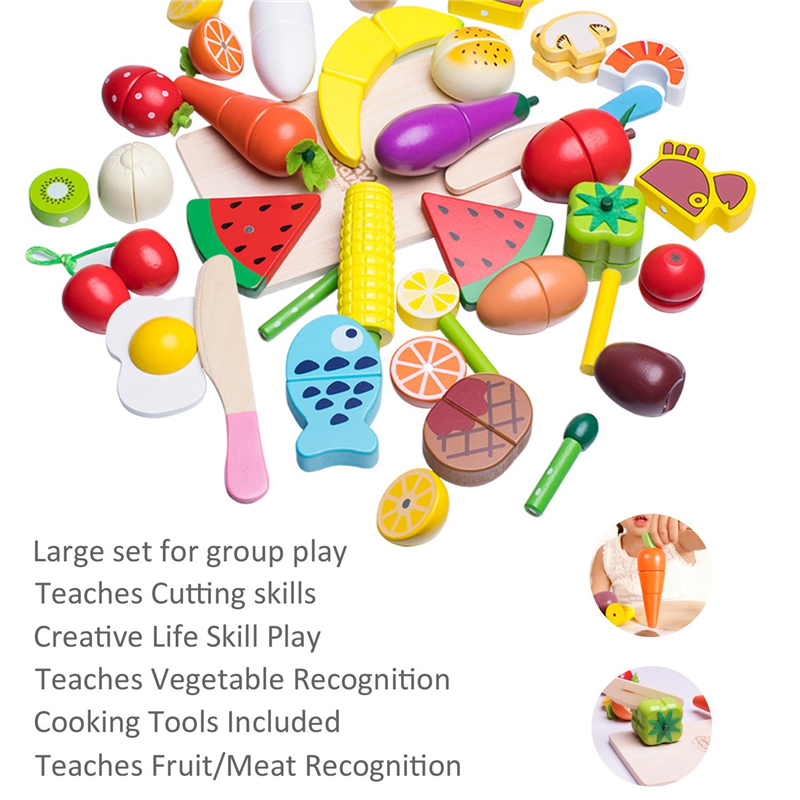 The cutting process will assist in eye-hand co-ordination and give children knowledge of the internal structure of different foods. 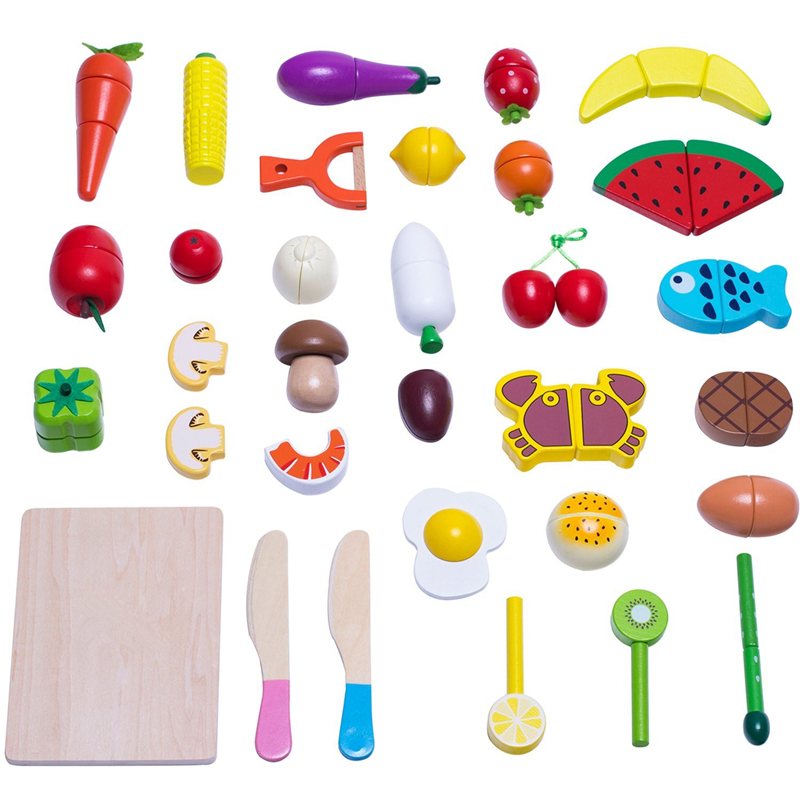 This Wooden Cutting Food set makes it delicious fun for budding young chefs to play and learn! 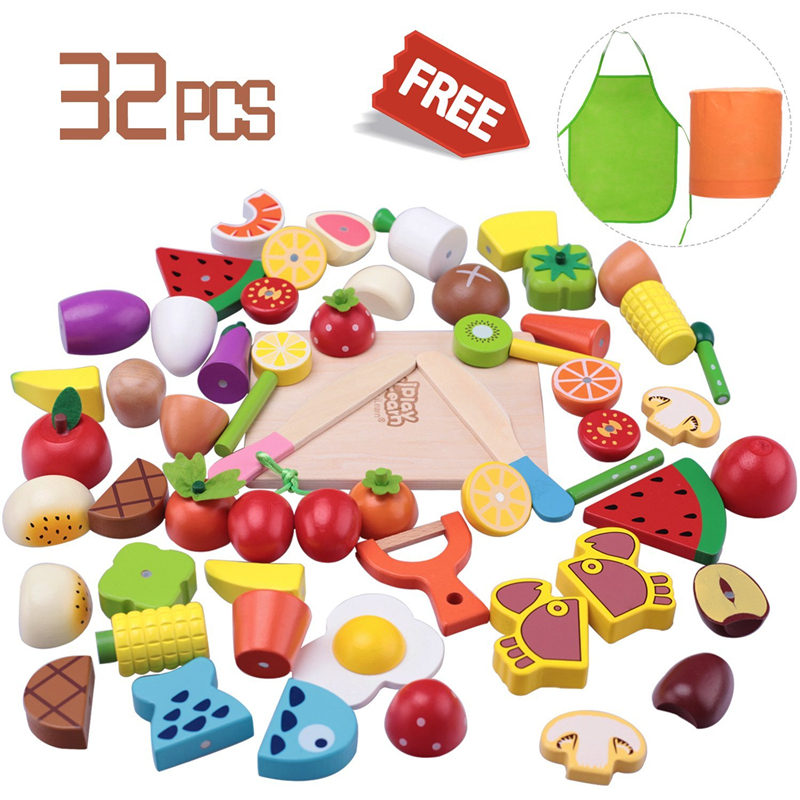 Slicing and cutting these beautifully crafted and painted fruits, vegetables, and grains will assist in the development of fine motor skills, essential life skills and knowledge, as well as teach them fractions, and they develop a sense of achievement in their ability to do adult-like tasks.